Seattle architect Sherwood Diemer Ford was born in Bedford, England on April 10, 1870. He migrated to North America in the early 1890s and reportedly initially worked in Montreal before coming to the United States. While his immigration papers note that he did not arrive in the United States until 1894, city directories show that he was working as a draftsman for Seattle architect W.P. Skillings as early as 1891. In 1894 Ford, then age 24, moved to Boston and took a job at the architectural firm of Hartwell, Richardson & Driver. While in there he married his first wife, Virginia (1871-1921) on July 24, 1901 in Portland, Maine. For reasons unknown Ford moved back to Seattle in 1907 and joined the architectural firm of Graham & Myers. After Meyers left the firm, Ford continued to work with Graham. When Graham relocated to Detroit in 1914, Ford and fellow Graham employee, James E. Webster, formed a new partnership to take over Graham's northwest projects. They operated under the name Webster & Ford and worked together until late 1916, when Ford decided to open up his own firm. During this time Ford applied for U.S. citizenship (1915) and was eventually naturalized on March 13, 1920. Documents note that prominent businessman/financier and family friend, William D. Comer served as one of Ford’s naturalization process witnesses. Comer would become a key person that helped fuel Ford's architectural career later in the decade. During the 1920s Ford became a “man-about-town”, and the society pages of the Seattle Times are full of details about parties and fundraisers at the Ford House. 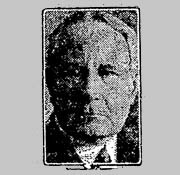 Active in a variety of civic, social and professional organizations he was elected the Seattle Fine Arts Society board of directors in 1929, and elected president of the Washington State Chapter of the American Institute of Architects in 1929. Despite his high social profile, Ford’s known commissions are limited. Most date to the economic boom of the 1920’s and include the Marcus Whitman Hotel (1928) in Walla Walla; the Cambridge Apartments (1923); the Mayflower/ Fox Theater (1927-28, destroyed); and the Washington Athletic Club (1930) all in Seattle. Ford's buildings demonstrate his innovative ability to work with several architectural styles popular in the twenties and thirties. The Music Hall Theatre has been described as an "exotic Moorish-Spanish Renaissance Revival design," while the Washington Athletic Club is a more restrained Art Deco design utilizing organic cast stone ornamentation. In contrast is the Classical Revival Cambridge Apartments. While never elevated to the level of partner, architect Don Merrell Clippinger (1890-1952) played a key role in many of Ford’s projects, serving as his lead draftsman. Ford died in Seattle at the age of 78 on September 14, 1948. “Scottish Rite Masons to Build School Here” – Seattle Times: March 19, 1922. “Nine Story Apartment” – Seattle Times: April 23, 1922. “Plan More Buildings” – Seattle Times: May 4, 1922. “Apartment Under Construction” – Seattle Times: December 24, 1922. “Cambridge Largest Apartment” – Seattle Times: December 31, 1922. “New Apartment Ready” – Seattle Times: April 1, 1923. “Alden Praised By Society for Work” – Seattle Times: November 28, 1926. “Pictures Indicate Scope of New Building Activity” – Seattle Times: December 5, 1926. “Construction To Be Pushed on Theatre” – Seattle Times: March 22, 1927. “Reception at Fine Arts” – Seattle Times: July 10, 1927. “Walla Walla Community Hotel Work Progresses” – Seattle Times: November 13, 1927. “Construction To Be Pushed on Theatre” – Seattle Times: July 10, 1927. “Architects Open Sessions Friday” – Seattle Times: January 12, 1928. “Yacht Trip to Mark Architects’ Session” – Seattle Times: July 5, 1928. “Architect to Tour For Club Building Plan” – Seattle Times: October 9, 1928. “Architect for Local Club Secures Help In National Survey” – Seattle Times: November 4, 1928. “Athletic Club’s Building To Rise 20 Stories High” – Seattle Times: January 13, 1929. “$2,300,000 Athletic Club Is Assured: Seattle Will Get 20-Story Structure” – Seattle Times: September 29, 1929. “Work is Beginning on Washington A.C. Building” – Seattle Times: December 17, 1929. “Dedicated to Sports” – Seattle Times: December 14, 1930. “Diner to Open Club” – Seattle Times: December 14, 1930. “Sick Purchases Staadecker Home in Denny-Blaine” – Seattle Times: December 17, 1933. “Sherwood D. Ford Funeral Tomorrow” – Seattle Times: September 16, 1948. Advertisement - “Quality Street News: John L. Scott, Inc.” – Seattle Times: January 22, 1967.